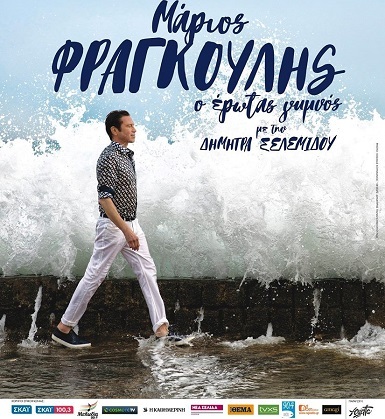 For this year’s journey into music, Mario Frangoulis has prepared a unique programme which called ‘O Erotas Gymmnos - Love Revealed’. A journey full of beautiful melodies and poetic lyrics where ‘Love’ is the protagonist. Mario is happy to announce to fans the release of the new PBS special “Amour - 3 Voices from Broadway to the Stars” starring Mario Frangoulis, George Perris and Deborah Myers with the Orlando Philharmonic Orchestra conducted by Eric Jacobsen. 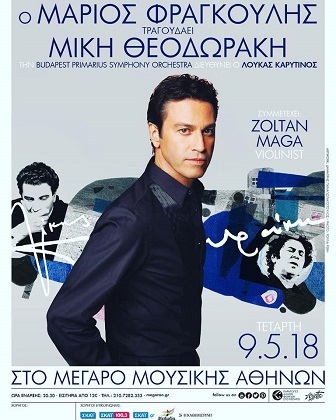 Mario is very excited about his performance will take place at the Megaron Concert Hall in Athens on May 9th. 2018.